This pack contains 1 copy of Engineering Mechanics: Statics in Si Units, Global Edition + 1 printed access card to Mastering Engineering with eText + 1 copy of Engineering Mechanics: Statics, Study Pack, SI Edition. A Proven Approach to Conceptual Understanding and Problem-solving Skills. Engineering Mechanics: Statics excels in providing a clear and thorough presentation of the theory and application of engineering mechanics. Engineering Mechanics empowers students to succeed by drawing upon Prof. Hibbeler’s everyday classroom experience and his knowledge of how students learn. This text is shaped by the comments and suggestions of hundreds of reviewers in the teaching profession, as well as many of the author’s students. The 14th Edition includes new Preliminary Problems, which are intended to help students develop conceptual understanding and build problem-solving skills. The text features a large variety of problems from a broad range of engineering disciplines, stressing practical, realistic situations encountered in professional practice, and having varying levels of difficulty. 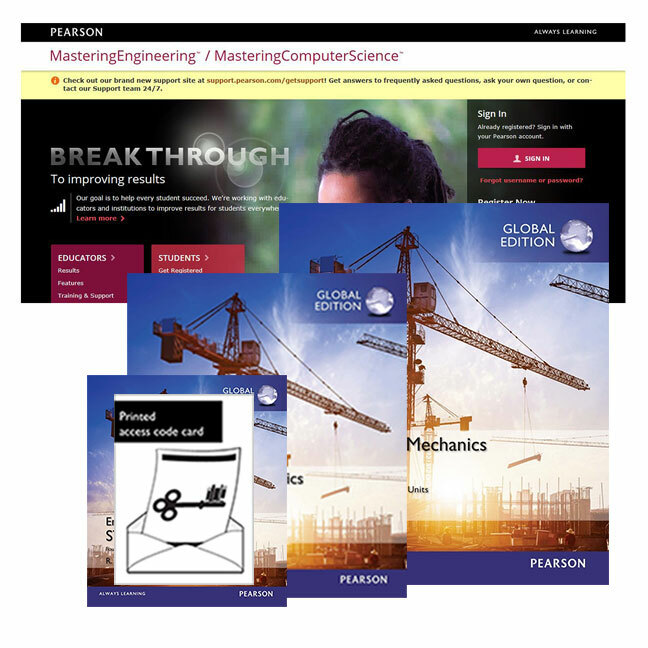 Mastering Engineering is an online homework, tutorial, and assessment program designed to work with this text to engage students and improve results. Interactive, self-paced tutorials provide individualised coaching to help students stay on track. With a wide range of activities available, students can actively learn, understand, and retain even the most difficult concepts. Mastering Engineering is not a self-paced technology and should only be purchased when required by an instructor. The duration of access to Mastering Engineering is set by your instructor for your specific unit of study.